Do you think the United States has become stronger or weaker? We also asked respondents: Do you think the United States has become stronger, weaker, or neither stronger nor weaker? When asking this question, to test the effect of Donald Trump’s election on responses, a third of the sample in both surveys was randomly asked whether the United States had become ‘stronger, weaker, or neither stronger nor weaker’ in the year since Donald Trump became president. Another third was asked what the change had been since the end of the Obama administration. A final control group was asked about the change in US strength in the last year. Australians were more likely to be pessimistic on the strength of the United States, with 46 per cent saying it had become weaker and only 19 per cent saying it had become stronger. Americans were slightly more positive. Thirty-six per cent believed their country had become weaker, and 30 per cent stronger. Australian respondents were more likely to say the United States had become weaker since the end of the Obama administration, with 49 per cent of those receiving this version of the question providing this response. 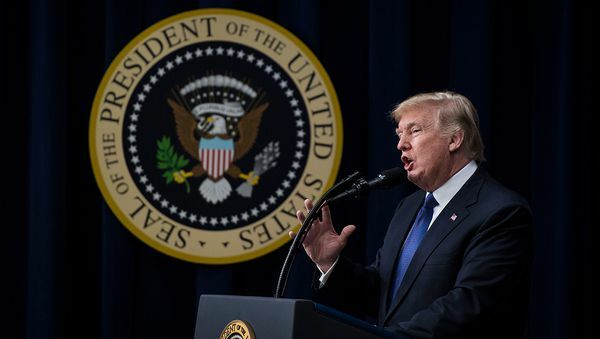 The difference between question versions was small, though, with 45 per cent of Australian respondents saying the United States had become weaker in the year since Donald Trump became president. Australian respondents exhibited noticable partisan behaviour on this question. Coalition respondents, and those who supported other parties and candidates, were less likely to say the United States had become weaker when promoted with the Trump version of the question, and more likely to do so when given the Obama version. Labor voters were more likely to say America had become weaker when given the Trump treatment, and less likely to do so when they received the control question. Conversely, Greens voters given the control question were more likely to believe the United States had become weaker, although the sample size here in small. In contrast, American voters responded about the same to all three versions of the question. Those provided with the Trump variant were just 3 per cent more likely than those given the Obama question to say the United States had become weaker (38 per cent to 35 per cent), with little difference between Democrats and Republicans. However, under all of this, there were large variation in how Democrats and Republicans responded to the question regardless of how it was asked, with Democrats ten times more likely than Republicans to say the United States had become weaker. 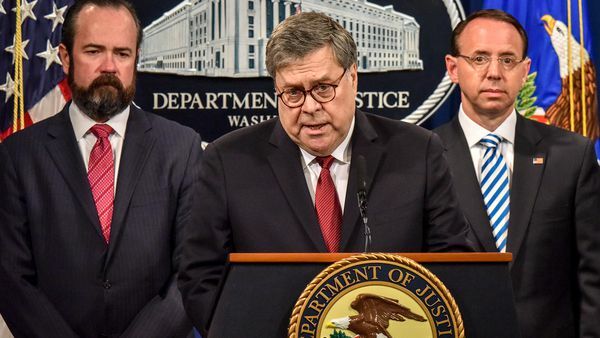 For all three question versions, more than 70 per cent of Democrats said the United States had become weaker, while less than 7 per cent of Republicans agreed. Approximately a third of other voters also believed the United States was now weaker than it had been before. Does a weaker United States make the world more dangerous? 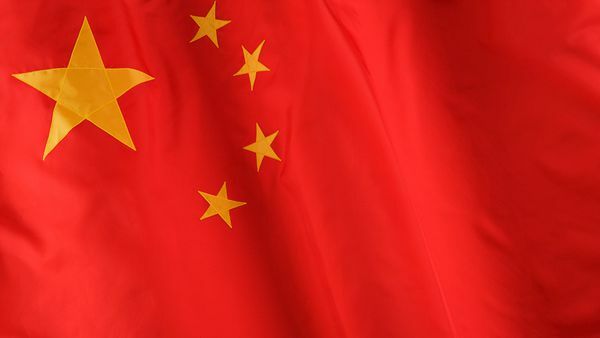 Concerns about a weaker United States appear to drive fears about the danger facing the United States itself, as well as the world. Australian respondents who believed the United States was now weaker than it was in the past were 8 per cent more likely to say things were more dangerous for the world, and 22 per cent more likely to believe there was more danger for the United States. There was no significant association between Australian perceptions of US power and the danger facing Australia. 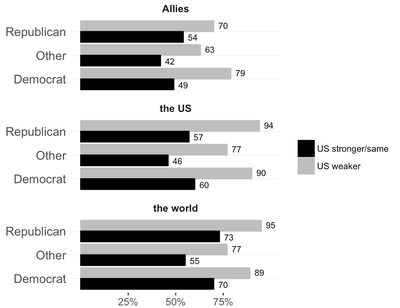 Americans who saw US strength declining were 20 per cent more likely to say things were more dangerous for the world, 33 per cent more likely to believe there was more danger for the United States and 24 per cent more likely to say things are more dangerous for US allies. No significant partisan effects were observed for Australians' perceptions of danger in the world and for the United States, but Labor voters who saw the United States as being weaker were more likely to see greater danger for Australia. 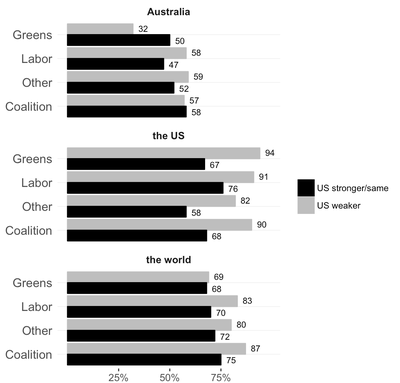 Coalition voters appear to be unaffected by perceptions of US strength, while Greens who see the United States as being weaker appear to see Australia being safer. In the United States there were no clear partisan effects for any of the questions. 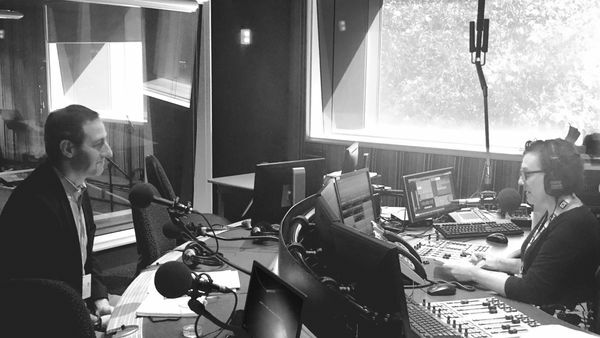 In September 2017, the United States Studies Centre announced that it had partnered with global survey company YouGov, which now provides the Centre with exclusive, monthly polling data from the United States and Australia; tracking not just perceptions of political leadership in both countries, but also unique, targeted insights on a diverse range of topics. YouGov is a market research and opinion polling company headquartered in the the United Kingdom, with operations in Europe, North America, the Middle East and the Asia-Pacific.